Can the passage of time be measured precisely, always and everywhere? The answer will upset many watchmakers. A team of physicists from the universities of Warsaw and Nottingham have just shown that when we are dealing with very large accelerations, no clock will actually be able to show the real passage of time, known as "proper time". The ideal clock is merely a convenient fiction, as theorists from the University of Warsaw (UW) and University of Nottingham (UN) have shown. In a study published in the journal Classical and Quantum Gravity they demonstrate that in systems moving with enormous accelerations, building a clock that would precisely measure the passage of time is impossible for fundamental reasons. "In both theories of relativity, special and general, it is tacitly assumed that it is always possible to construct an ideal clock - one that will accurately measure the time elapsed in the system, regardless of whether the system is at rest, moving at a uniform speed, or accelerating. It turns out, however, that when we talk about really fast accelerations, this postulate simply cannot apply," says Dr. Andrzej Dragan from the Faculty of Physics, University of Warsaw. The simplest clocks are unstable elementary particles, for example muons (particles with similar properties to electrons but 200 times more massive). Usually, muons decay into an electron, muon neutrino, and an electron antineutrino. By measuring the decay times and averaging the results for muons moving slowly and those moving at nearly the speed of light, we can observe the famous slowing down of the passage of time: the faster the muons are moving, the less likely the experimenter is to see them decay. Velocity therefore affects the clocks' observed tempo. What about acceleration? Experiments were performed at CERN in the late 1970s, measuring the decay time of muons undergoing circular motion accelerations even as great as billions of billions of times the acceleration of Earth's gravity (10^18 g). Such acceleration was found to have no impact on the disintegration times. The Polish-British group of theorists from the universities of Warsaw and Nottingham, on the other hand, were looking at the description of unstable particles moving in accelerating motion in a straight line. The key point for their analysis turned out to be a fascinating effect predicted in 1976 by the Canadian physicist William Unruh. "Contrary to intuition, the concept of a particle is not completely independent of the observer. We all know the Doppler Effect, for example, which causes a photon emitted by a moving source to appear bluer to an observer toward which the source is approaching, but redder to one it is receding from. The Unruh effect is somewhat similar, except that the results are more spectacular: in an certain area of space, a non-accelerating observer sees a quantum field vacuum, whereas an accelerating observer sees many particles," explains Dr. Dragan. The equation describing the Unruh effect says that the number of particles visible within a quantum field varies depending on the acceleration experienced by an observer: the greater the acceleration, the more of them there are. These non-inertial effects may be due to the movement of the observer, but their source can also be a gravitational field. Interestingly, the Unruh effect is very akin to the famous Hawking radiation emitted by black holes. 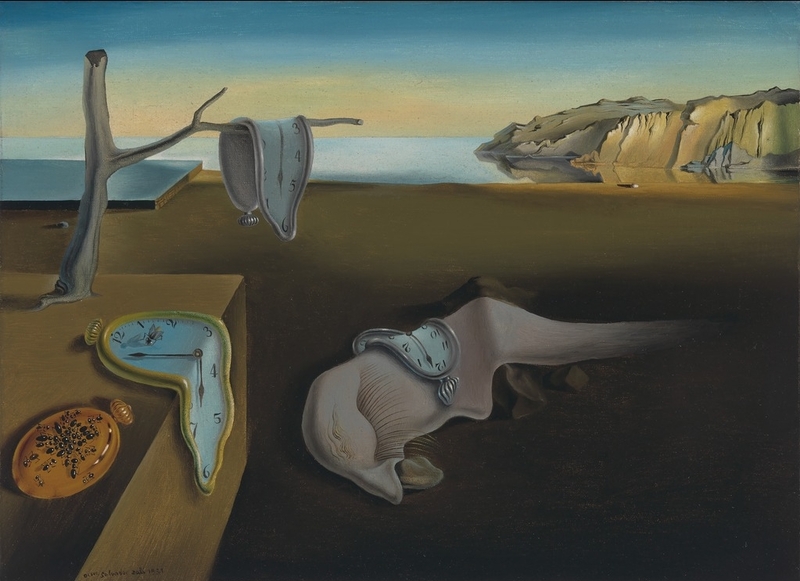 The unstable particles which the physicists from the universities of Warsaw and Nottingham treated as a fundamental clocks in their analysis decay as a result of interactions with other quantum fields. The theory says that if such a particle remains in a space filled with a vacuum it decays at a different pace than when in the vicinity of many other particles interacting with it. Thus if in a system of extreme acceleration more particles can be seen as a result of the Unruh effect, the average decay times of particles such as muons should change. "Our calculations showed that above certain very large accelerations there simply must be time disorders in the decay of elementary particles. And if the disturbances affect fundamental clocks such as muons, then any other device built on the principles of quantum field theory will also be disrupted. Therefore, perfectly precise measurements of proper time are no longer possible. This fact has further consequences, because losing the ability to accurately measure the passage of time also means problems with the measurements of distance," explains Dr. Dragan. Until now it has been assumed that the concepts of time and space may lose their traditional senses only when certain phenomena predicted by hypothetical theories of quantum gravity begin to play a vital role. It is believed that the necessary conditions prevailed in the vicinity of the Big Bang. "In our paper, we show that for problems with the measurements of space-time to arise, such extreme conditions are not needed at all. Time, and therefore space, most likely cease to be accurately measurable even in today's Universe, provided that we try to carry out the measurements in systems moving with great acceleration," notes Dr. Dragan. The results from the physicists from Warsaw and Nottingham mean that at sufficiently high accelerations, the operational capabilities of any theory built on the notion of time, and thus also space, will be disrupted. This raises interesting questions. If in extremely accelerating systems we cannot build a clock that measures time accurately, is this exclusively a fundamental flaw in our measurement methods? Or maybe something is happening directly to time itself? And do properties which cannot be measured accurately even make physical sense? Modern accelerators can accelerate particles with accelerations several orders of magnitude higher than in the experiments of the 70s. Thus today we can carry out experiments in which the Unruh effect should be visible - and so changes in the decay time of particles triggered by acceleration should be observable, too. The conclusions of the Polish-British group of physicists on ideal clocks will thus soon be verified. "If our predictions are confirmed experimentally, many things related to our understanding of space-time, the passage of time, and its measurement methods will have to be rethought from scratch. It could be... interesting," concludes Dr. Dragan with a smile. The Polish group's work was financed by a Sonata BIS grant from Poland's National Science Centre.